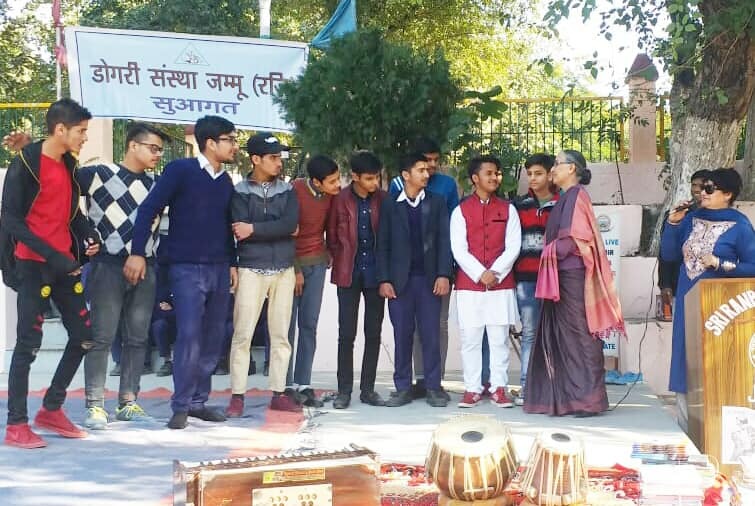 In this Programme, prominent Dogri poets recited their poems, students of the Institution performed a Dogri play ‘Dheeth’ (courtesy Rangyug, jammu) and sang Dogri folk songs including Bhaakh. 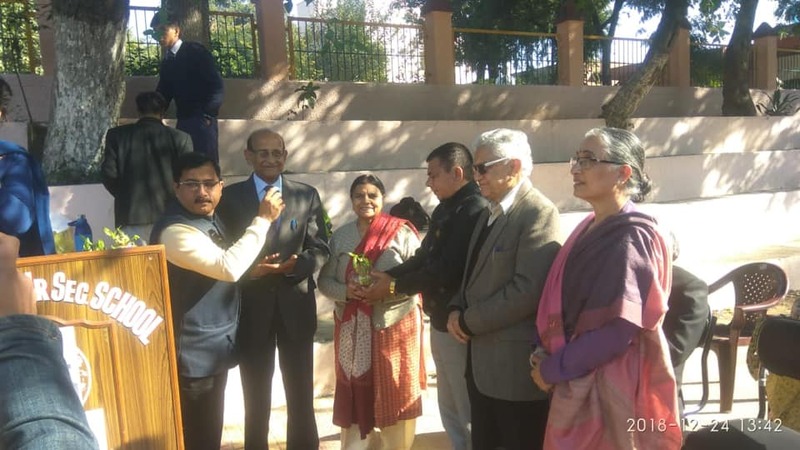 The poets who recited their poems included Gianeshwar Sharma, Promila Manhas, Devendra Thakur, Keerti Thakur, Susheel Begana, Vijaya Thakur, Vijay Sharma, Nirmal Vinod and Randhir Raipuria . 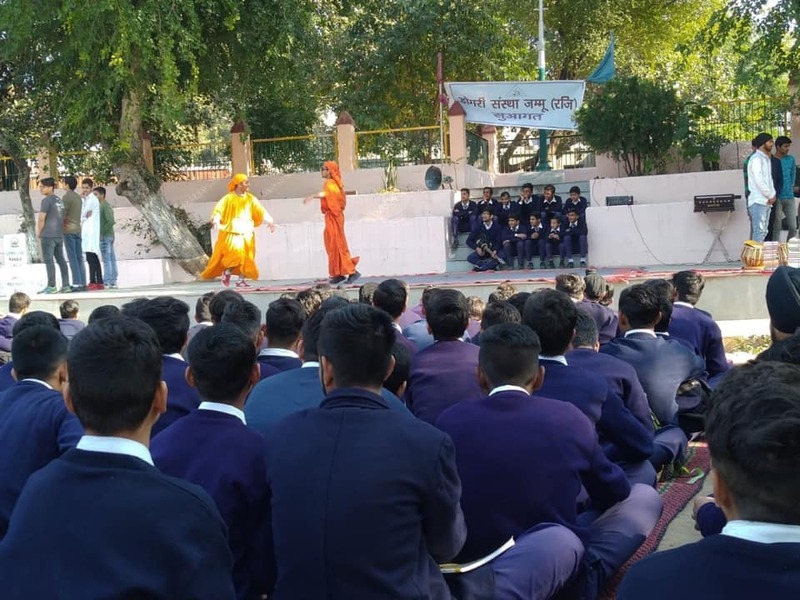 Those who participated in the highly entertaining play ‘Dheeth” were Faisal, Jatin, Munishwar, Rohan, Gautam, Rahul, Kanishk, Anurag, Parmeet, Dinesh and Tushar. 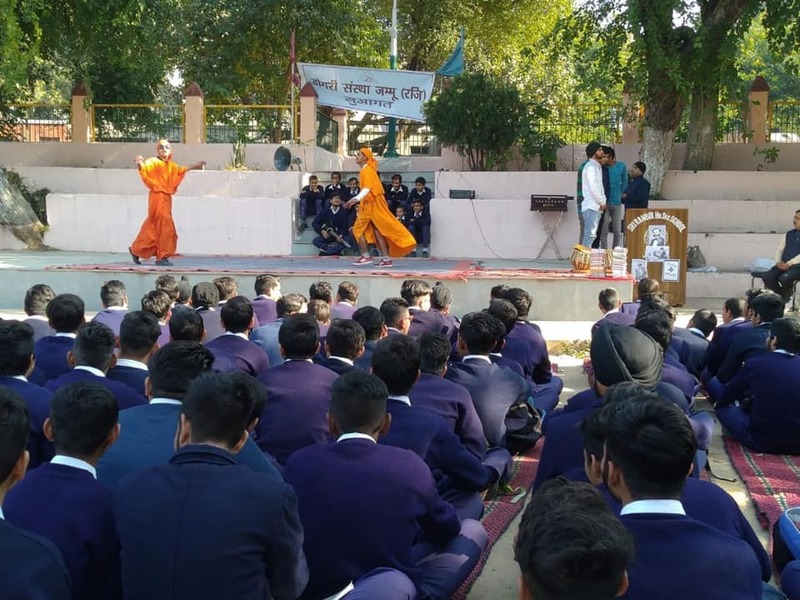 Rahul and Munishwar played the lead roles in the play. 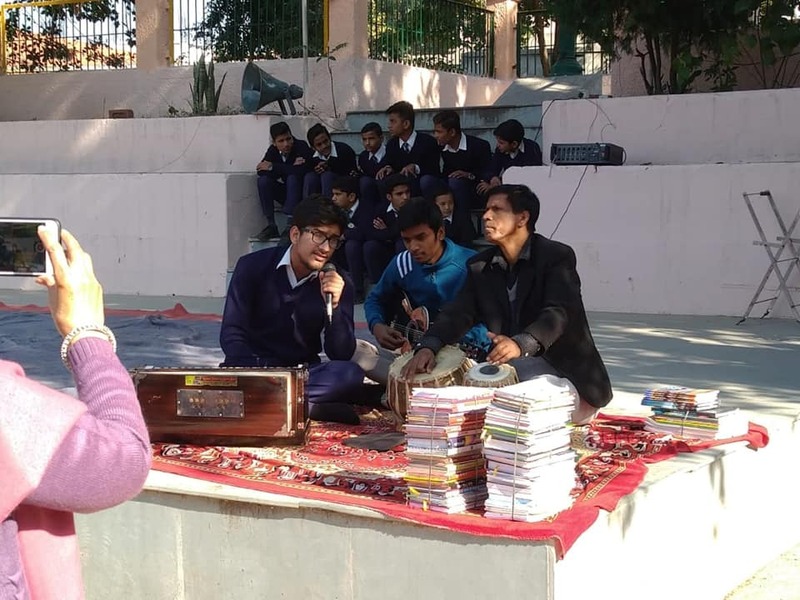 The folk songs were sung by Rahul Kumar and Maheshwar Singh, which were immensely liked by the audience, which included the teaching staff and the students of the school. 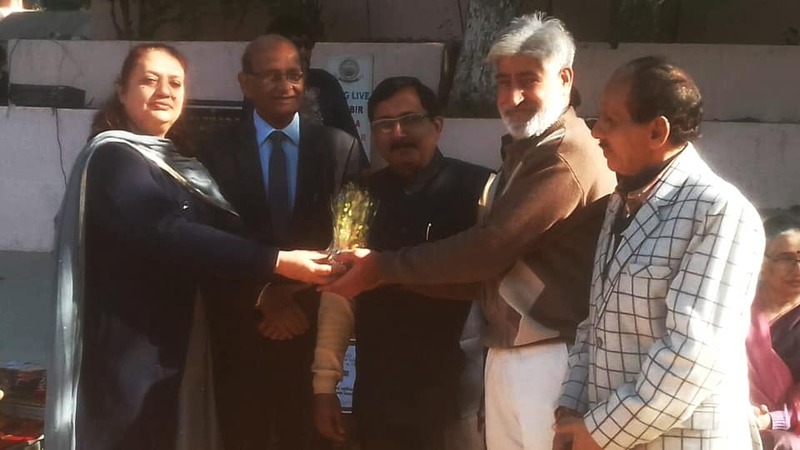 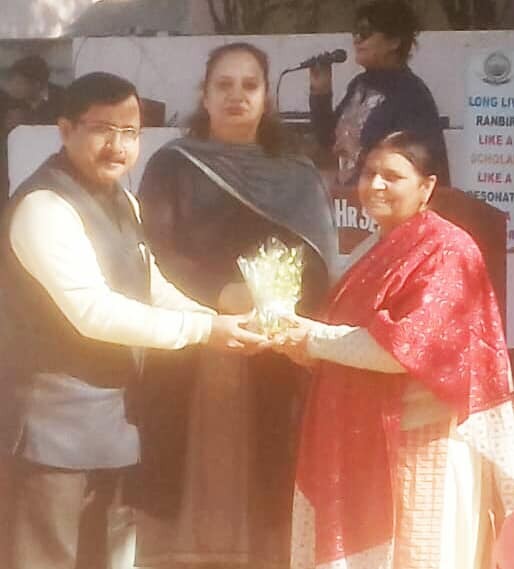 The Principal of the school, Mrs. Safqat Javed Chib, welcomed the Chief Guest and members of Dogri Sanstha and audience. 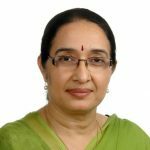 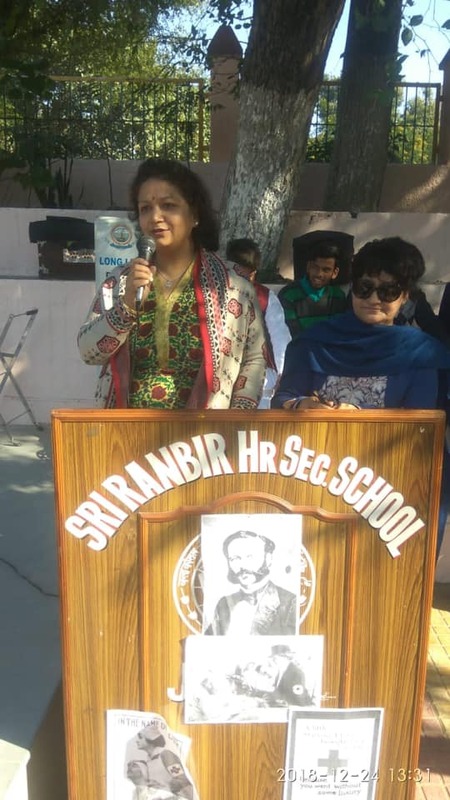 She laid the stress on the need to remain connected to and be aware of one’s heritage especially for young generation of the society. 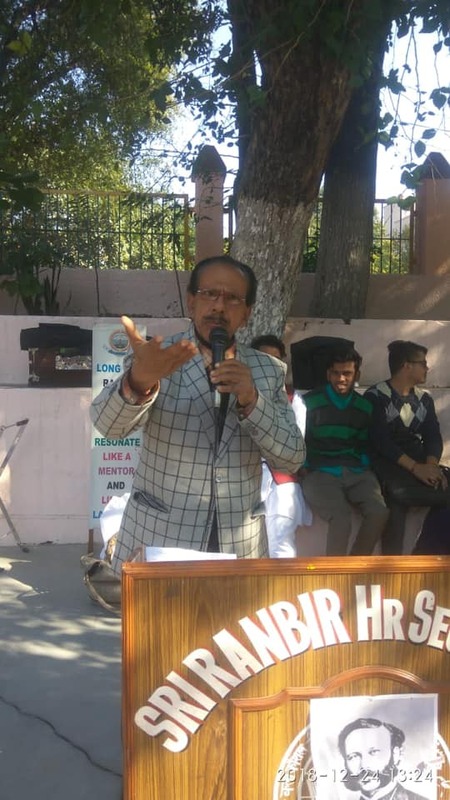 Prof. Lalit Magotra, President of Dogri Sanstha, while speaking on the occasion, talked about the importance of mother tongue and beauty of Dogri language. 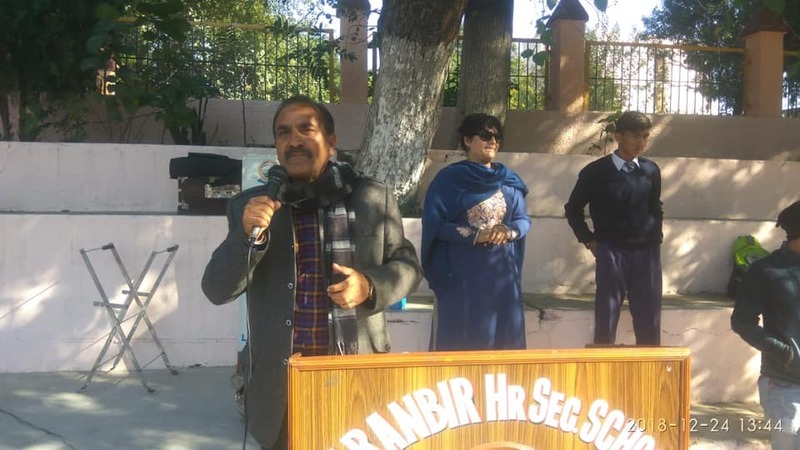 Being an alumnus of the School, he shared his fond memories of his schooldays with the audience. 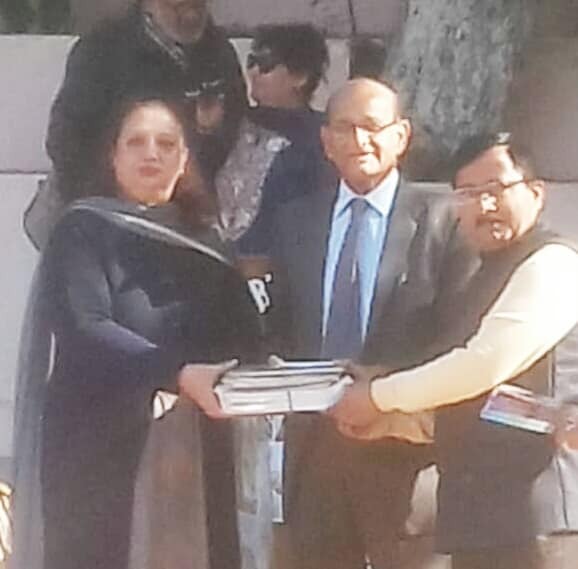 He also presented a set of Dogri books to the Principal of the Institution for school library. 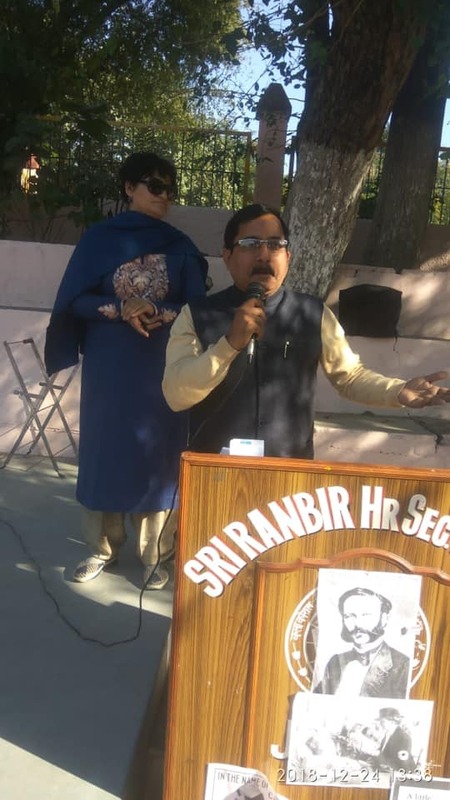 An exhibition of Dogri books was also held on this occasion. 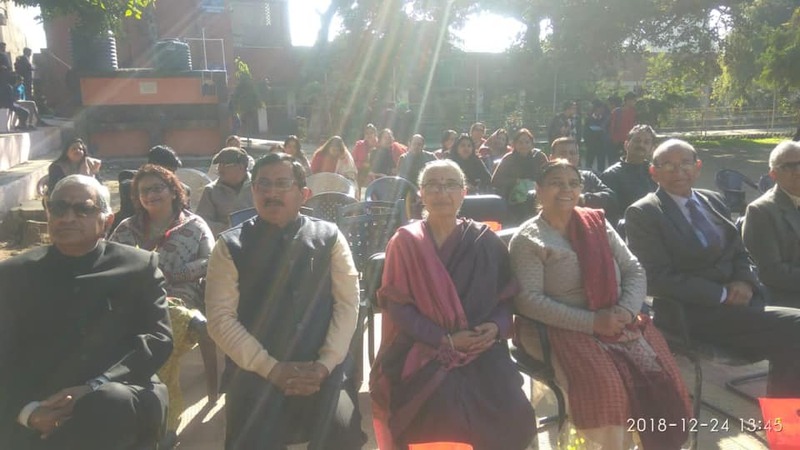 Vijaya Thakur, a poet herself and a teacher of the School conducted and anchored the program in a very competent manner and Prof. Shashi Pathania, Vice President of Dogri Sanstha presented the vote of thanks.